Orange Boodle isn’t a very well known dessert, but it should be. 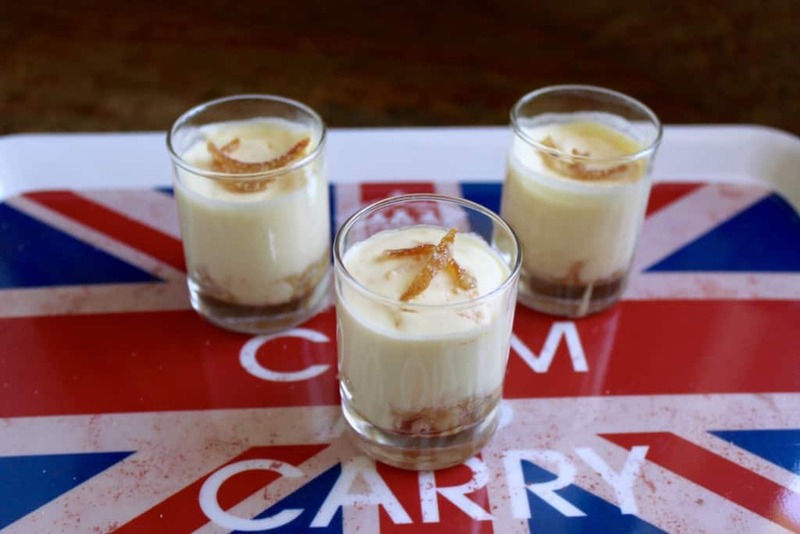 Read on to learn more about this light and refreshing British pudding! Sometimes it feels as though serendipity isn’t really serendipitous. Okay, that sounds silly–what I mean is that sometimes it seems as though there’s more at work than just sheer luck. For example, just a couple of days ago, I went through my freezer and noticed that I had a bowl of leftover cake pieces from my niece’s baptism cake. I thought to myself, “I need to use that,” but I wanted to make something other than trifle. When I came inside, I started putting some things away in the kitchen and picked up a British cookbook that was on the counter, flipped the pages and “ORANGE BOODLE” just popped out at me. “What a strange name!” I thought, and of course, I had to see what it was. 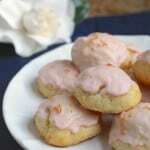 Would you believe that the first ingredient was pieces of sponge cake? Honestly, these things happen to me all the time, and it’s rather freaky. Once I read the recipe, I just knew it was “dessert fate” and I had to make it. 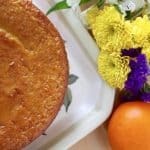 I needed sponge cake, the rind and juice of two oranges (they were ripe on my tree) . The rind and juice of one large lemon (Meyer lemons were also ripe on my tree), and double cream. I had whipping cream in the fridge and it needed to be used as it was nearing the expiration date! How crazy is that? A quick google search filled in the missing information regarding the origin of this refreshing treat. Apparently, Boodles is an exclusive gentlemen’s club in London which was almost simply reserved to the Royal Family. Click here and use the code, “CUCINA 18” to receive a 20% discount! 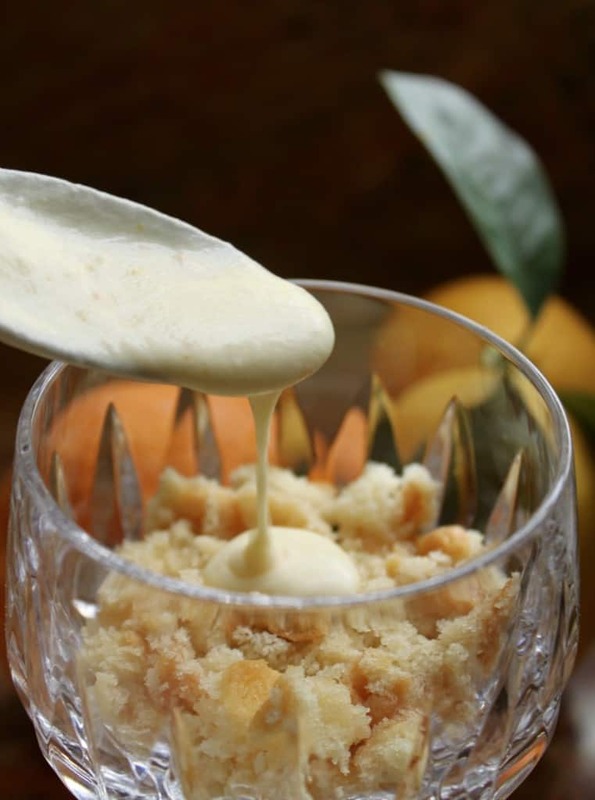 Place the pieces of cake into the bottom of 6 long-stemmed glasses and sprinkle with Grand Marnier if desired. Place the citrus juices and rinds into a measuring jug (it should be about 7 fluid ounces) and stir in the sugar until it dissolves. 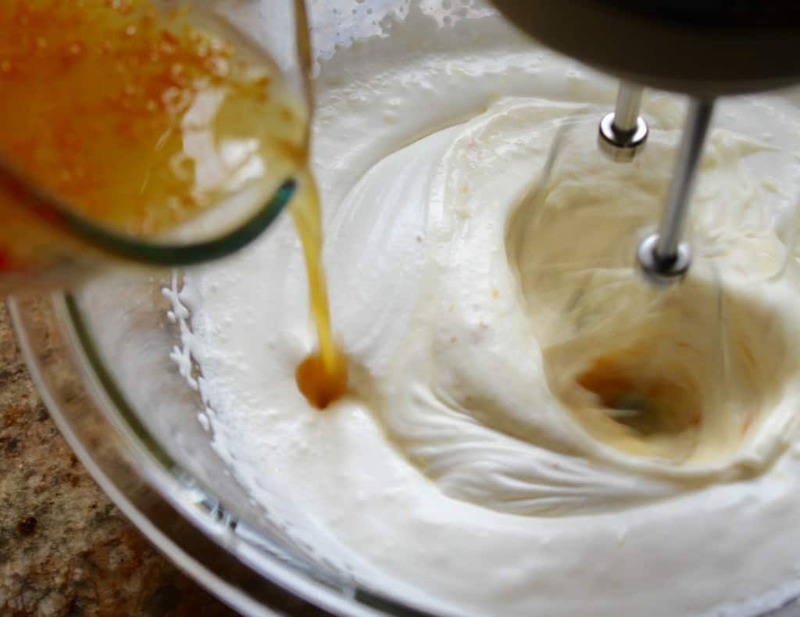 Whip the cream until thick, then gradually add the citrus mixture, while continuing to beat the cream. Pour the mixture over the cake in the glasses and chill for a few hours, or overnight. The juice will drain out of the cream into the cake and the cream will set. Finally, decorate with some candied orange peel (recipe here) or fresh zest, or even orange segments and serve. 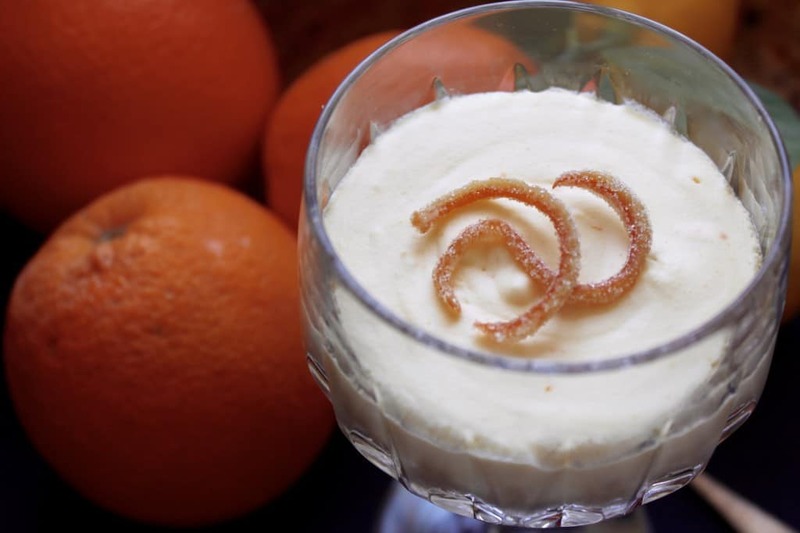 This dessert is bursting with citrus flavor in the mousse-like cream and is perfectly paired to the juice and liqueur soaked cake lurking below! Try it and let me know what you think. 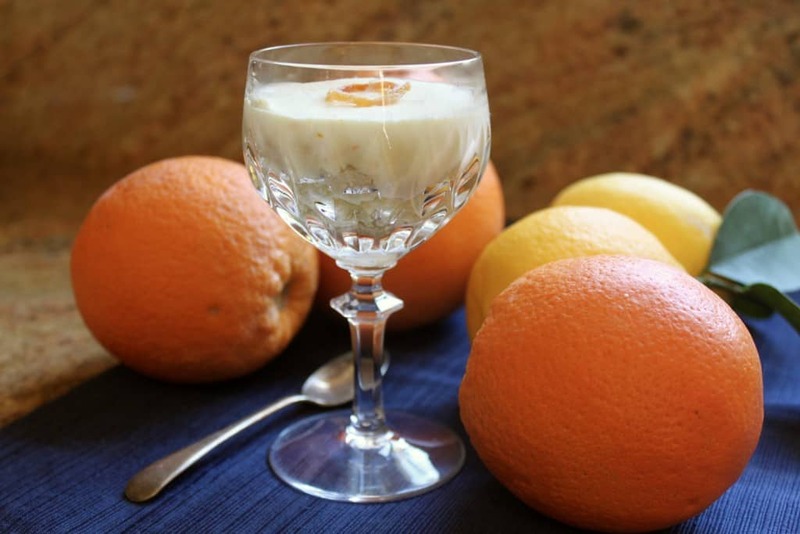 An old English recipe for a simple orange flavored, light pudding/dessert. The juice will drain out of the cream into the cake and the cream will set. Just decorate with some candied orange peel (recipe coming soon) or fresh zest, or even orange segments and serve. I think this is my new favorite dessert. Pure citrus perfection. Thank you, Cathy! It’s super easy, too! Oh my gosh, everyone loves and asks for the Boodle!!! There is no dessert in comparison! This is an amazingly simple, yet luscious and elegant dessert! Living in England and working as a cook, I’m always looking for authentic old recipes. This was very well received, although the juice did not soak out into the cake as expected. Very nice flavours. Oh I wonder why? That’s strange. Glad it was well-received, though! Thanks, Holly! I made the Orange Boodle for a Sunday lunch and it was a huge hit. There were six of us and everyone was disappointed that they only got one tall stemmed wine glass full of Boodle. They came close to rioting for seconds…. 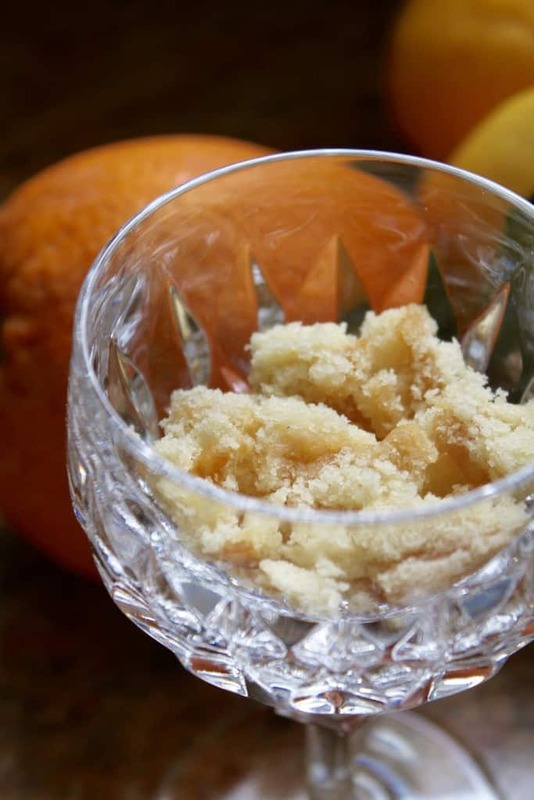 Living in the backwoods of Maine I was unable to find the sugared orange peel for decoration so I used chopped up crystallized ginger instead and it was fantastic. I’ll use it always from now on. Thanks Christina! Now this does sound delightful, and very easy to make! Reminds me vaguely of trifle/zuppa inglese… The English do have a way with desserts. Yes, Frank! 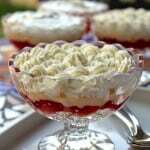 To me, it’s a cross between a trifle and a posset! I wholeheartedly agree about English/British desserts! I love them all! I love the history of this dish! And the fact that it’s almost impossible say out loud three times in a row… And, since oranges are right on our trees right now, I might just have to bake a sponge cake to make this. Now, what will I do with the leftover spongecake from that? That would be a predicament, David! ;) haha! I do hope you try this recipe as it’s just too good for words, especially with homegrown oranges and lemons! Dear Christina, I absolutely love serendipity. Even just the word. This dessert looks luscious and I’m so glad you opened that cookbook page and rifled through your freezer. Timing is everything. 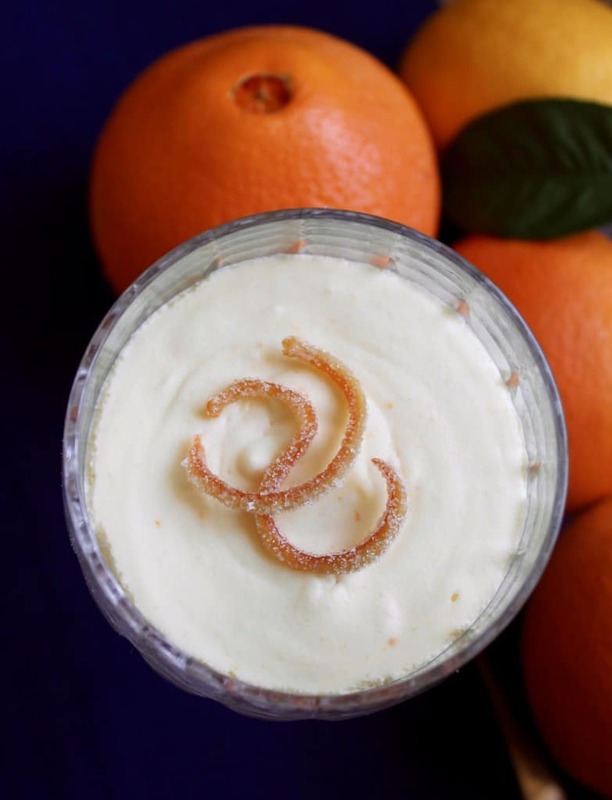 I love the candied orange peel, the perfect garnish! Have a lovely weekend, friend! Haha! Actually Katie, it’s not a “Boodle”, but a fool. The reason it’s called a “Boodle” is from the club where it originated. Whatever it’s called, it’s delicious! I hope you do try it! Isn’t this funny? Christina, I have never ever heard of boodles, never mind a club for them. 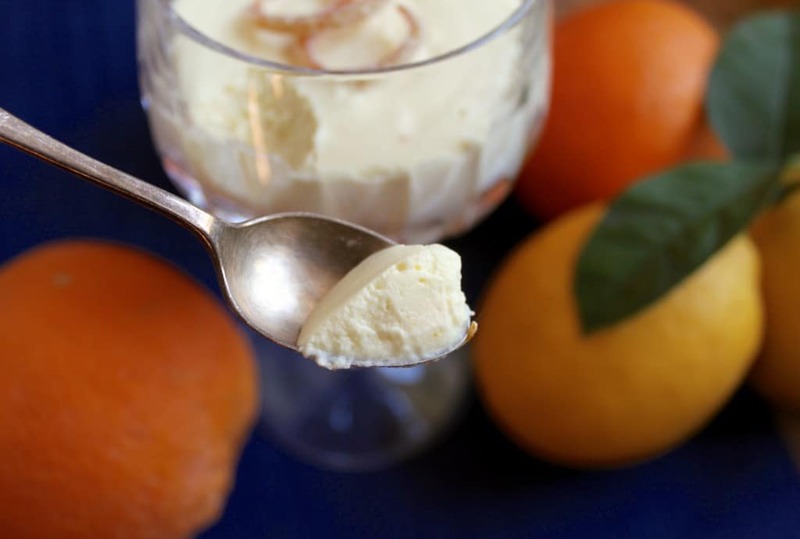 How wonderful – and so is this dessert which sounds deliciously citrusy and easy too. Thanks for introducing me to it – on my “must make” list. Haha! 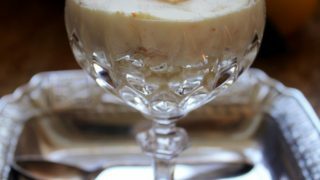 The dessert isn’t actually a boodle, it’s a fool, but as one reader commented, more like a cross between a posset and a trifle! 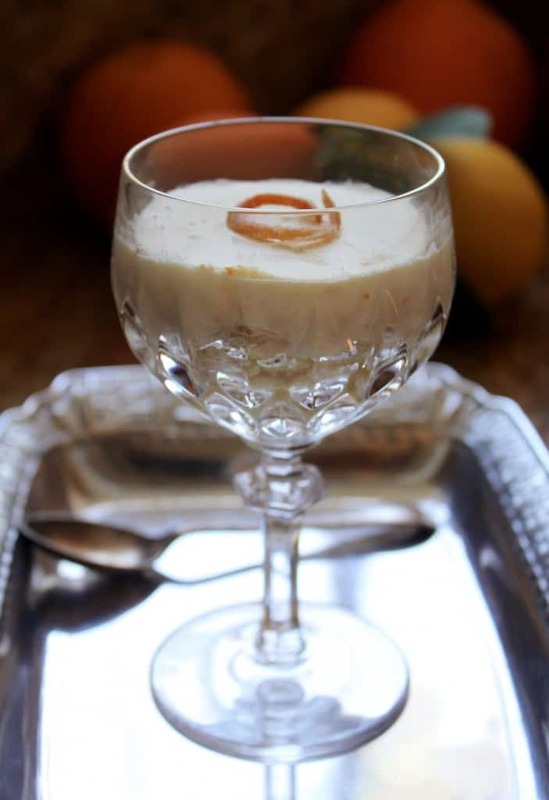 I think Boodles Orange Fool is more of an explanatory name, but the cookbook I found it in called it Orange Boodle. Strange how things are named, but regardless, I’m sure you and your family will love it! Thanks, Jill! 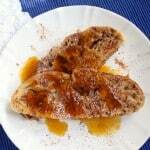 Looks delicious and very easy to make thanks for the recipe. I love orange flavored desserts. One of my favorite combos is orange and dark chocolate, so I would probably drizzle a little on top or serve a square of dark chocolate on the side! Thanks, Liz! Aren’t they the best?! Love it Christina, the name and all. You know I am such a fan of orange anything and never her of a boodle but must try it.